Following the occupation of the Afrin city, the Turkish state announced on Thursday that a "local government" has been formed. Following the military operation against Afrin carried out by the Turkish state together with its allies, Al Qaeda, DAESH and the al-Nusra gangs on January 20th, and following the occupation of the city, the Turkish state announced on Thursday that a "local government" has been formed. The first reaction to this body created by the Turkish MIT came from the co-chair of Afrin Canton, Osman Şêx Îsa who called this a “treacherous assembly”. “There is no difference - Îsa said - between the armed gangs and the political gangs”. Îsa was referring to the 20-member assembly founded by the Turkish state. He added that the people of Afrin would never stop fighting against these fake structures and the forces behind them. Osman Şêx Îsa also said: “Afrin already has a legitimate and elected governance body, elected by the people.We reject this new council because it has been created by those who carried out invasion attacks on Afrin, those who dropped bombs on the people of Afrin, those who supported the massacres of Afrin people. We do not see them as the representatives of the people of Afrin. Nobody would give them any authority nor credibility”. Îsa went on saying: ”There is no place for these gangs in Afrin, no place for military, political, or diplomatic gangs, there is no place for them in Afrin”. The co-chair of Afrin Canton continued: "Those who supported the genocide policy against Kurdish people and those who accepted it could never represent the people: these are the people of Turkish intelligence, they took money from the Turkish state, they sold their people for a few dollars, We will continue to struggle together with our people to free Afrin from both the gangs and their masters, whether inside or outside”. The official news agency of the Turkish regime announced today that an occupation council made up of 20 people was established. According to the report, the members of the council are “11 Kurds, 8 Arabs and 1 Turkmen” and they are headed by a gang member named Zuhheyir Haydar. 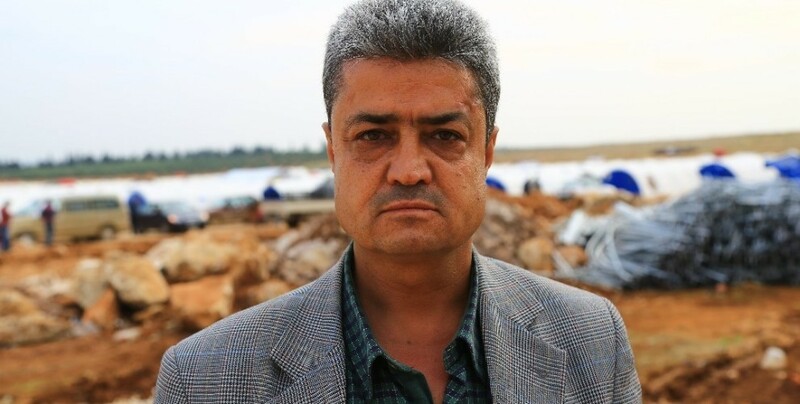 Züheyir Haydar, who spoke to the Turkish agency, said that the “council” they founded had been established under the umbrella of the National Coalition of Syrian Opposition and Revolutionary Forces (SMDK) and that they would be bound to the local council in Aleppo.